The growth of paperless tickets in music and sports has prompted an interesting debate in the arts community—who really owns the ticket and what limitations can be placed on a patron’s ability to resell that ticket? According to Ticketmaster, when a music lover purchases two tickets to see Rent at his local theater, what he’s purchased is a license to the performance for one evening. That license can be revoked at any time—especially if the purchaser is caught trying to resell the ticket. Ticketmaster has spent decades and millions of dollars fighting scalping, arguing that scalpers drive up ticket prices and gouge customers. But the advent of sites like StubHub and TicketNetwork, where anyone could list tickets and sell them easily, made it nearly impossible for Ticketmaster to keep up the volume of resale in the marketplace. Season ticket holders used the site to unload tickets for unwanted events—suddenly, scalping tickets was an accepted practice, and some buyers were going to directly to StubHub in search of deals. To fight the practice, Ticketmaster rolled out its new Paperless Ticketing system for a series of Tom Waits concerts. The system made it much harder to scalp tickets, because if they had been bought online, they could only be redeemed with the credit card used to purchase them, and only at the door of the venue. Ticketmaster also looked to develop smart-phone-powered tickets that could not be resold. Scalping-related fraud dropped dramatically, and as a side benefit, the paperless tickets were seen as a green alternative to traditional stubs. End of story, everyone is happy, right? The new technology drew prompt protest from eBay, which owns StubHub, the biggest marketplace in the U.S. for fan-to-fan ticket reselling. Paperless Tickets made it impossible to resell on StubHub and restricted a fan’s ability to gift tickets bought online. Lawyers for eBay and other secondary markets like TicketNetwork have succeeded in getting paperless ticketing banned in New York State and advancing legislation in New Jersey that will do the same. Each side has created its own advocacy group and launched a bitter PR battle arguing its position as the more consumer friendly of the two. Ticketmaster activated the rosters of its massive artist-management business Front Line and its promotions machine Live Nation to pull together a star-power- packed coalition called the Fans First Coalition. EBay responded with the Fan Freedom Project, a high-tech consumer advocacy site that would have impressed the tech-savvy Obama campaign, with mobile apps and web tools for contacting legislators, organizing Facebook protests, and monitoring state legislatures with pending bills on paperless tickets. The New Year will bring more legal battles— mostly at the state level, since a federal bill on paperless ticketing is unlikely. Lobbyists for Ticketmaster are pushing a bill in Tennessee that would deem tickets as “revocable licenses” that “may be cancelled at any time, with or without cause, by the ticket issuer” and pave the way for more paperless ticketing. Jon Potter, President of the eBay-backed Fan Freedom Project, is fighting the legislation, arguing that artists routinely hold back tickets from the public and resell them at huge markups and that paperless ticketing would further embolden greedy managers. He’s calling for rule changes to make ticket purchasing more consumer-friendly. President: Michael Marion, General Manager, Verizon Arena, Little Rock, AR. Members: Dozens of artists like Jennifer Hudson and Tom Waits, over 100 venues including the Cobb Energy Performing Arts Center in Atlanta and New York’s Gramercy Theater and industry titans like Red Light Management and The Bowery Presents. Funders: Ticketmaster and its affiliate companies like Live Nation and Frontline Management. Platform: Supports the right to ban the resale of tickets, similar to the airline industry. The law also calls for a ban on automated purchasing, where scalpers user high-speed computer programs, or “bots” to buy up tickets, often making hundreds of purchases in the time it takes the average buyer to make a single purchase. Fans First also wants better regulation of secondary ticket online marketing, arguing that many brokers use deceptive websites to trick fans into thinking they’re buying tickets from the real box office. President: Jon Potter, former director of the Digital Media Assn. Members: Various state and national consumer advocacy groups including the Florida Consumer Action Network, the League of Fans, and the Institute for Liberty. Funders: eBay and its secondary marketplace StubHub; National Consumers League. Platform: Believes companies like Ticketmaster should not be able to restrict a fan’s ability to resell their ticket; successfully outlawed digital only tickets in New York State. 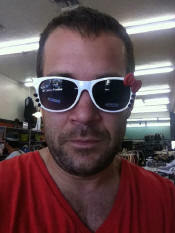 Dave Brooks is a writer based in Los Angeles, where he is managing editor of Venues Today.